The Mapungubwe National Park in Limpopo and the Northern Tuli Game Reserve across the Limpopo River in Botswana is often referred to as the “land of the giants”.It is home to Africa’s largest mammal (elephant), the tallest mammal (giraffe), Africa’s largest cat (lion), largest antelope (eland), heaviest flying bird (kori bustard), and largest bird (ostrich), as well as massive Baobab, Leadwood, Apple Leaf and Mashatu trees. Leopard are also seen most days of the year! When we travel to this area we generally overnight in the self catering huts in the Leokwe Camp, this is the main camp in Mapangubwe. The camp has a sundeck, pool and communal braai area. There are many interpretations of the meaning of Mapungubwe and the most likely is the ‘place of the jackal’. Great archaeological treasures have been discovered here and the entire region is considered of significant cultural importance. After a few day we would leave for the Pontdrift border post where we will enter the Northern Tuli Game Reserve in Botswana. 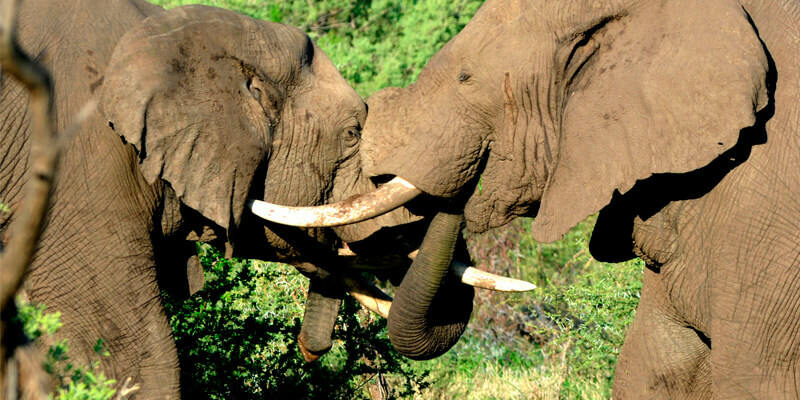 Northern Tuli is home to the largest concentration of elephants on privately owned land in Africa. The reserve integrates the Mashatu Game Reserve, Tuli Nature Reserve and other smaller game reserves. Tuli is also an area with numerous archaeological and historical sites, with evidence of early communities. Pottery shards, beads, smelting relics and granaries can be seen at a few of these sites. Apart from a portion of land in Ghanzi, around Gaborone, Pandamatenga and Lobatse, Tuli Block remains one of the few areas where freehold land in Botswana is available. There is no bridge over the Limpopo and we generally drive through the soft sand or shallow water if the river is not in flood. If the water level is too high, we will use the bridge at the Platjan borderpost. The next camp we would visit is the Sha-limpo at the confluence of the Shashe and Limpopo rivers. Sha-limpo is an unassuming, self-catering stone lodge accommodating 10 guests in five safari-style en-suite rooms. The staff bakes fresh bread daily, cleans, starts the camp fire and sets tables. The lodge enjoys a 360 degree view of the reserve, overlooking the confluence and the sandstone hills and rock formations on the Zimbabwean and South African sides of the rivers. Other facilities includes an open-air outdoor shower, plunge pool, large fully equipped farm style kitchen with an original Dover wood stove and an open-plan indoor dining and lounge area with a covered patio. 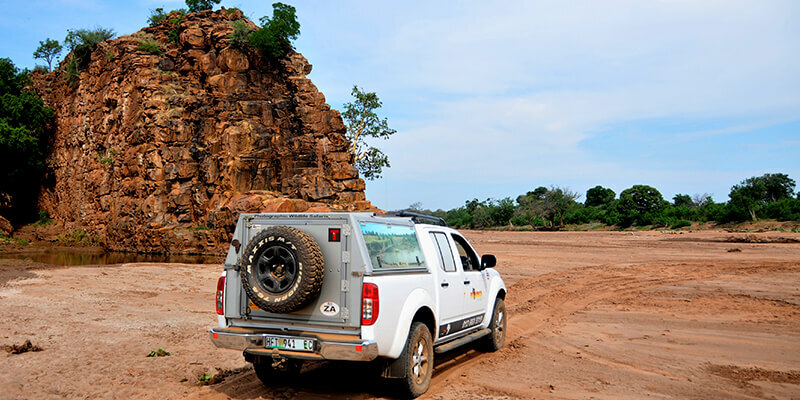 Visitors to the Northern Tuli Game Reserve are not allowed to do game drives in their private vehicles. As such at Sha-limpo we do morning and afternoon game drives with the game drive vehicle from the lodge.After about two days our group moves on toSerolo Safari Camp in the Tuli Wilderness concession. It is a luxury self-catering camp and we generally stay there for three nights. 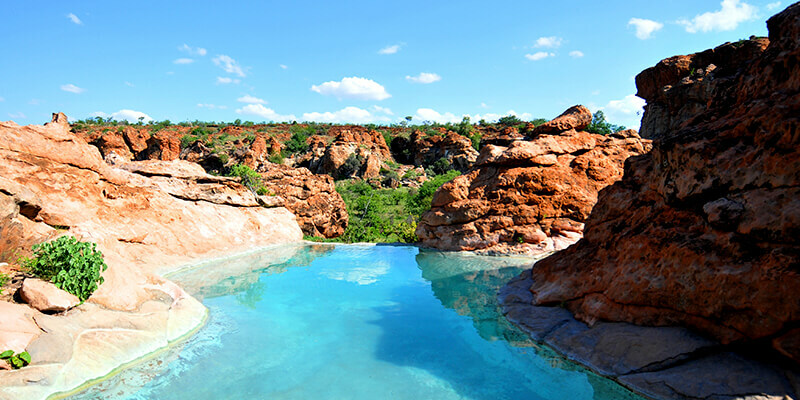 The property borders the great Limpopo River at its southern end and the Motloutse River to the East and encompasses riverine thickets, mopane veld, open plains and boulder-strewn sandstone ecosystems, complete with the game one would expect. Large herds of free-roaming eland, zebra and wildebeest are seen regularly and many other plains game are also found in the area. Amongst these general game species lurk the predator population of Lion, Leopard, Cheetah, Wild Dog and both Spotted and Brown Hyena. Serolo is owner-managed by Stuart Quinn who has a wealth of experience in the southern African wildlife tourism, hospitality and training industry.